In 2009, SpaceX launched its first commercial cargo for NASA, setting in motion what we like to call the Entrepreneurial Space Age. This new era in space exploration has led to momentous change, not only within the established aerospace industry, but also across a much broader spectrum of human society. In the minds of many observers, outer space is no longer imagined as an abstract concept; a vague and mostly-impenetrable final frontier; but rather as a very real, accessible arena in which human innovation and technological progress can truly blossom. Thanks to the audacious successes of private launch providers, for example, people are recognizing that access to space is no longer restricted to government superpowers. In the wake of the CubeSat revolution, the barriers to enter space are lower than ever before—and with this access comes a proliferation of new business applications and ideas. For the first time in history, outer space has become an ideologically, if not practically, accessible resource in the eyes of many people. After crossing this threshold, the entrepreneurial space industry is poised to take its next practical steps towards harnessing the resources of space—and towards employing these resources in situ to create rocket fuel, life support systems, and ultimately construct in-space habitats. Multiple enterprising ventures have built their business plans around the extraction and use of in-space resources: namely, extraterrestrial water (like the ice found at the Moon’s poles), minerals, and metals present in near-Earth asteroid bodies. However, with any new frontier comes logistical—and legal—complications to ensuring that commerce can operate smoothly and fairly. When it comes to establishing property rights and “land use” permits off-planet, the space industry is faced with an unprecedented challenge—but modern legislation and emerging data-sharing technologies may provide a solution. 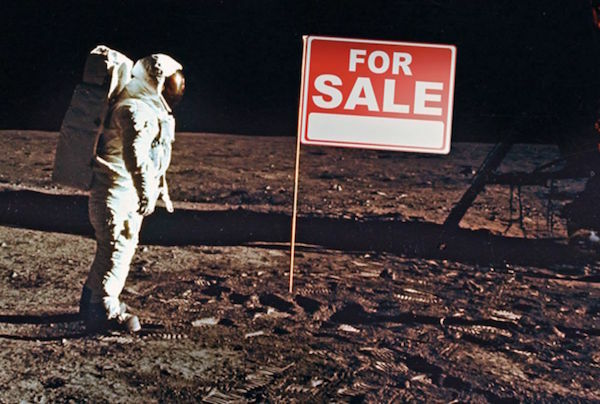 The history of property rights in space, while fairly limited, is also downright goofy. Have you heard of a Nevada resident named Dennis M. Hope? How about The Lunar Embassy of the Galactic Government—no? As space enthusiasts and investors, you really should be familiar with the infamous man who has spent nearly thirty years becoming Earth’s most successful interplanetary real estate agent. In 1980, a freshly-divorced and financially-bereft Hope was looking for a way to make some cash in the high-stakes world of property development. Given the fact that he owned no terrestrial property, Mr. Hope began thinking outside the box—way, way outside. Hope recalled an international agreement called the Space Act of 1967 (the Outer Space Treaty); specifically, the treaty’s Article II, which states that “outer space, including the moon and other celestial bodies, is not subject to national appropriation by claim of sovereignty, by means of use or occupation, or by any other means.” Do you spot the loophole? Hope, being an ambitious and creative sort of person, certainly did—for while the Treaty ostensibly bars national governments from claiming ownership of property in space, the document makes no mention of an individual’s right to stake a claim. Dennis Hope, therefore, simply “‘filed a claim of ownership for the Moon, the other eight planets and their moons, and sent it to the United Nations with a note stating that [his] intent was to subdivide and sell the property to anybody who wanted it.’” Upon receiving no reply from the UN, Hope assumed his claim went uncontested, formed a company called The Lunar Embassy, and set about selling parcels of extraterrestrial property to the highest bidder. Since the early ‘80s, Hope’s company claims to have sold over a billion acres of land across our solar system—and is currently offering up Pluto, in its entirety, for the very reasonable sum of 250,000 USD. Dennis Hope’s scheme, while outlandish, has nevertheless proven lucrative. As (legitimate) terrestrial governments consider a return to the Moon and the establishment of permanent lunar settlements, however, Hope and his customers may soon face legal challenges from national space agencies and commercial ventures alike. For much like Hope, the U.S. government has decided on an interpretation of 1967’s Outer Space Treaty which would technically allow for commercial extraction and exploitation of in-space resources. Assuming that NASA, its commercial partners, and private ventures will reach the lunar surface before Dennis Hope and denizens of his Galactic Government, the latter parties are unlikely to see any return on their extraterrestrial investments. Recent legislative support for celestial resource extraction goes a long way towards enabling an in-space economy. Dennis Hope and his Lunar Embassy outfit exemplify the shortcomings of 1967’s Outer Space Treaty, especially as concerns the modern entrepreneurial space industry. When the UN’s General Assembly ratified the treaty 50 years ago, the realities of today’s space ambitions—from private launch providers to commercial asteroid mining outfits—would have been the stuff of science fiction. As such, the extant Treaty’s decrees regarding the economics of commercial space range from vague to nonexistent. Recognizing this, several governments have taken steps towards modernizing space legislation in order to support the formation of an off-planet economy. Of chief concern has been the question of in-space property rights and ownership of space-based resources. In November of 2015, the U.S. Congress passed the SPACE Act of 2015 to bolster the country’s commercial interests in outer space. Through some carefully-chosen language, the new Act manages to avoid conflict with 1967’s Treaty by clarifying that the U.S. is in no way asserting “sovereignty” or exclusive ownership over the celestial bodies in question. Rather, the SPACE Act of 2015 enables commercial exploitation of valuable “in situ resources,” like lunar ice or asteroid metals, by specifically granting U.S.-based private ventures rights to the resources extracted from celestial bodies. The passing of the SPACE Act of 2015 marked an important shift in America’s legal framework for space exploration and in-space industry. By formally allowing commercial ventures to profit from the resources they extract, the SPACE Act ensures that there exist financial incentives to developing and deploying breakthrough technologies—which, without the assurance of a legal right to profits generated, would be an extremely risky gamble indeed. It is, after all, a government’s duty to incentivize progress in the face of risk or uncertainty; much like the Homestead Act of 1862, which encouraged thousands of settlers to move westward across the United States in exchange for land rights. The U.S. is not the only country to seek to protect commercial interests in space—and in fact, the SPACE Act of 2015 paved the way for similar legislation across the pond. 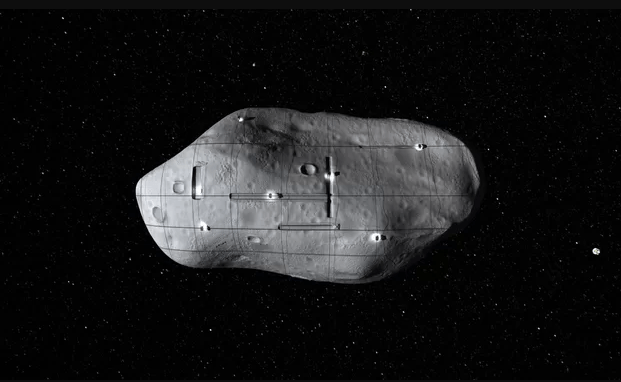 In mid-2017, Luxembourg’s Chamber of Deputies voted nearly unanimously to allow private companies full legal rights to any resources they extract off-planet, underscoring the nation’s full-throated support for space mining initiatives. 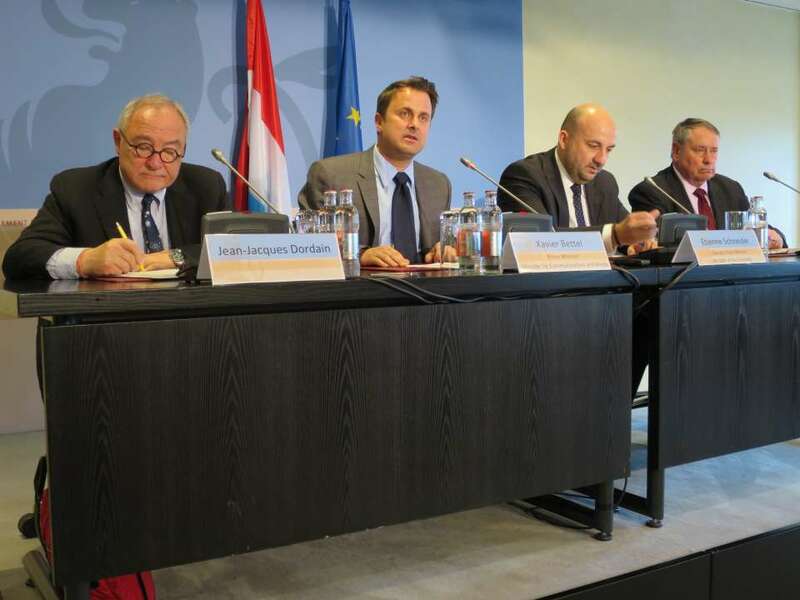 Luxembourg’s new law, which took effect August 1st, is the first of its kind in Europe and effectively establishes the tiny country as the space mining hub of the European Union. Employing blockchain technology solutions to track in-space industrial activities would support off-Earth commerce. With increasing international activity and commercial interest in procuring space-based resources, the question of in-space property management is rapidly becoming more urgent. In order to build a stable, international, off-Earth economy, there must be not only legal, but also operational, frameworks in place; including one which facilitates the secure allocation, tracking, and transfer of extraterrestrial land use rights and recovered resources. Enter blockchain. For anyone familiar with cryptocurrencies, blockchain technologies may be seen as old hat. The decentralized database format gained prominence in 2008 as Bitcoin’s digital ledger; an ever-evolving, incorruptible record of every Bitcoin transaction which serves not only as a tool to track and evaluate the virtual currency, but also to transfer currency between private parties. Blockchain networks are being hailed as the “next generation of the internet,” or the “internet of value”; an unassailable, decentralized, streamlined method of “creating value and authenticating digital information.” For blockchain developers, potential applications of the framework extend well beyond the financial services industry. In fact, all sorts of municipal record-keeping, like land titles and property claims, are ideal candidates for migration to secure blockchain networks. A large-scale shift of precisely this sort is underway in Dubai. 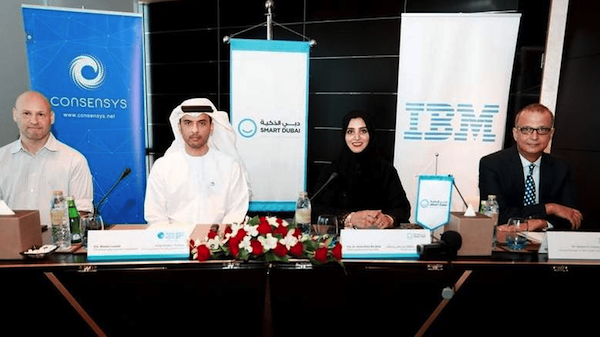 The most populous city in the United Arab Emirates is digitizing their local government, and working to “offer government services on interoperable blockchains and create a cohesive ecosystem that can dramatically reduce wasted time, effort and resources.” As part of Dubai’s long-term vision, the city is exploring ways to employ blockchains to streamline access to medical records, the transfer of property titles and “illiquid assets,” and even to create secure blockchain-based wills and contracts. A similar initiative, specifically focused on land titles and property transactions, has been proposed in the Republic of Georgia—and also in Sweden, Honduras, and Chicago. The success or failure of the Dubai and Georgian initiatives could serve as practical case studies into how blockchain technologies may be used to secure property rights for off-planet commerce. Blockchain, being a universal ledger, lends itself well to space assets and asteroid mining initiatives—it could create the infrastructure for a global registry of land use and mineral rights, built upon terrestrial legal frameworks, but would not be bound by any one country. Beyond the ledger, blockchain has the potential to facilitate distributed decision making across multiple stakeholders with vested interests in order to develop a representative solution. Building a sustainable in-space economy will require increasing levels of global coordination, which poses both hope for our future and massive structural barriers to overcome. Blockchain presents a practical solution to develop this coordination in a transparent, secure and representative manner. Coupling modern legislation with emerging data solutions would be a major step towards legitimizing the economics of in-space resource extraction. Dennis Hope’s plan to parcel off and sell the Moon is a great example of a bad idea. While Hope has technically sold significant amounts of extraterrestrial acreage, most of his customers recognize that their lunar land deeds are little more than novelties—Hope’s property titles, issued by his “Galactic Government,” would not be enforceable in any Earthly court of law. Hope’s scheme, however, does highlight the very real challenges that must be faced by private space mining ventures in the years ahead: How will commercial companies establish and assert their legal rights to space-based resources in an ever-expanding marketplace? The solution will comprise both legal and operational infrastructure. From a legal standpoint, both the United States and Luxembourg have taken steps to ensure that space entrepreneurs can lay claim to resources their companies extract from celestial bodies. Formally registering and assigning these claims will be another challenge—but network solutions currently in use on Earth could hold the answer. The future of space mining and in-space resource retrieval may well rely upon blockchain solutions to establish ownership, monitor extraction, and transfer both value and land-use rights between commercial space mining ventures. For private asteroid mining companies like Space Angels-funded Planetary Resources, the future is bright—but not uncomplicated. Luckily, Space Angels helps you make sense of this dynamic new market and identify the real risks and opportunities involved. There’s never been a better time to get involved in commercial space. If you’re ready to start investing in private space companies, we invite you to apply for membership to Space Angels.